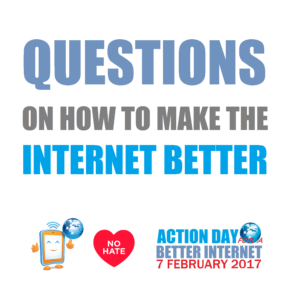 On the occasion of the Action Day for a Better Internet the No Hate Speech Movement is sharing the following questions to encourage critical reflection on what we can do to make the Internet a better place for all. 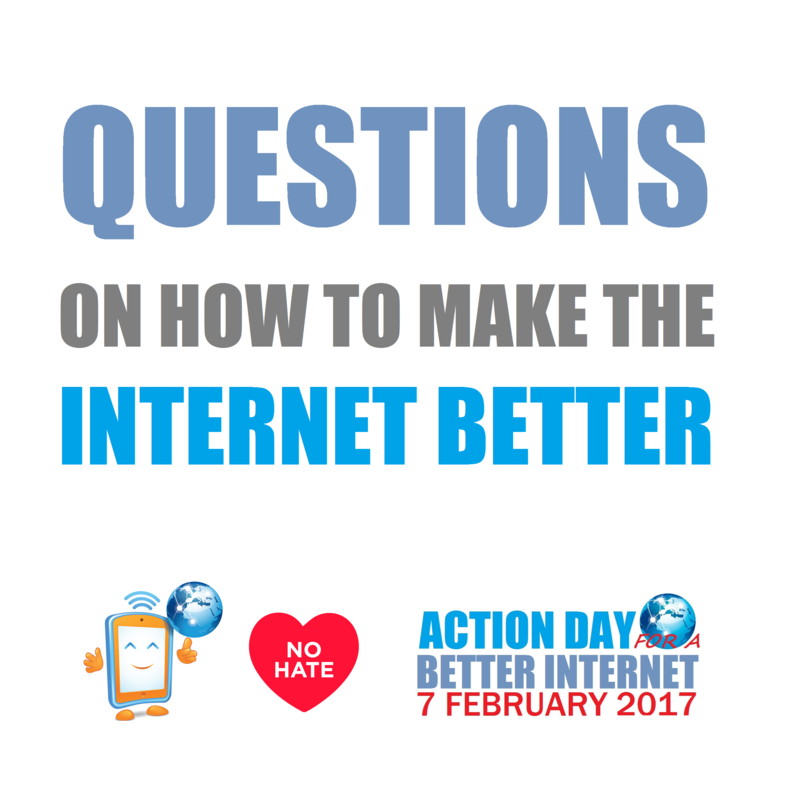 The questions can be used in youth activities and awareness raising events on the Safer Internet Day on the 7th February 2017. These questions will be shared one by one at every hour and 7 minutes on the Facebook Page of the campaign and on Twitter #nohatespeech on the Action Day and young followers will be invited to answer in comments and tweets. – Encourage youth to respond to the questions on the campaign social media on 7 Feb. If you had the power what would you do to reduce hate speech online? If you had the power what rules would you change to make the Internet a safer place for young people? If you had the power how would you decrease fake news online? If you had the power what would you do to prevent cyberbullying? If you had the power what would you do to promote democracy online? Do you behave the same when online as in your real life? Why? What do you do when you read hate speech comments? How do you find out if online news is real or fake? How do you check if information is fact or false? How can you support a friends that is being bullied online? What does online democratic culture mean to you? How can you behave democratically online?